Version 7.0 is bringing enhanced connectivity, more supported services, 3rd party devices and many new features. 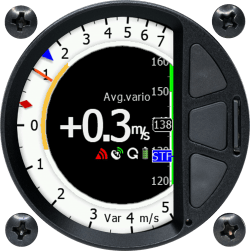 We improved the graphics on the V8/V80 varios as well, where you can now have a new NON-LINEAR scale, different needle styles and updated graphics with clearer readings. 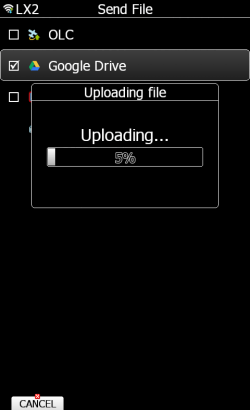 There are also some user friendly improvements (new MC/BALL/BUGS dialog) and minor bug fixes. Upgrade for free. 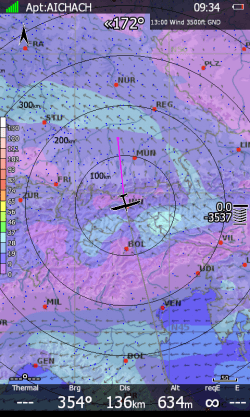 We developed our own cloud called LXNAV Connect where you get all weather services, storage services and automatic updates from LXNAV server and SoaringSpot. 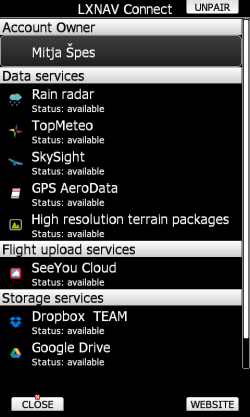 Supported weather services are: TopMeteo, SkySight, Rain Radar and Satellite pictures! There are also other services like US Sectional Charts, High resolution terrain maps, GPS Aero data, SeeYou Cloud, SoaringSpot integration, Dropbox and Google Drive. 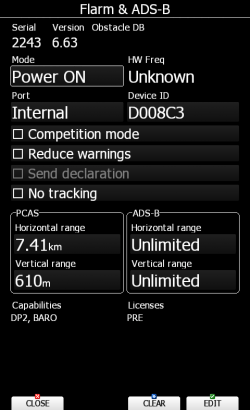 You can also switch on automatic profile syncing from your device with your LXNAV Connect storage. Profile sync will allow you to have one single profile synced across various applications. 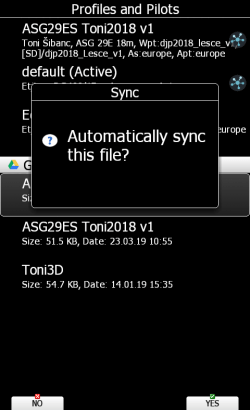 You can edit your profile on LXStyler and when you turn on the LX80/90xx device, it will be automatically synced with your latest profile saved on your LXNAV Connect storage service. Flight log can be uploaded to your email, Google Drive, DropBox and SeeYou Cloud. 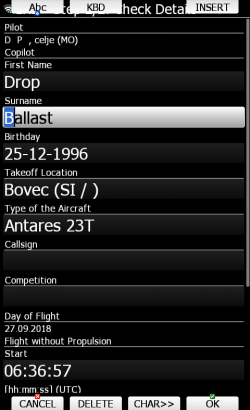 Automatic upload to OLC is supported as well, so you can claim your flight immediately after landing! 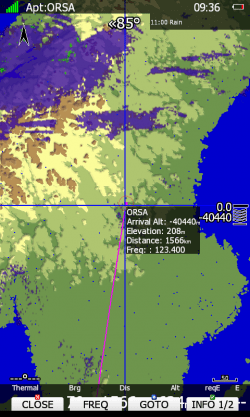 US Sectional charts and High resolution terrain files are available for free in our LXNAV Connect service. Maps are download directly to device through Wi-Fi, so no more SD cards or USB keys! We support various Weather services. Supported services are RainRadar, TopMeteo and SkySight. TopMeteo and SkySight support weather services with Satellite images as well. We support live weather and prediction weather for defined amount of time! 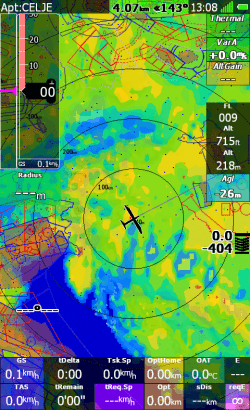 GPS AeroData is a database that contains airspace, NOTAMs, and customized information. 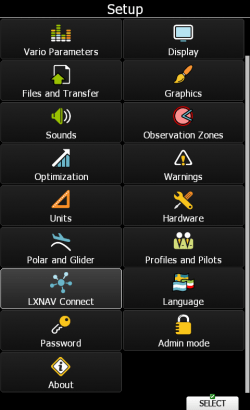 It is now possible to update PowerFLARM external devices and set many configuration settings to PowerFLARM over the main LXNAV device. We added a new non-linear vario scale and possibility to change the vario needle style. 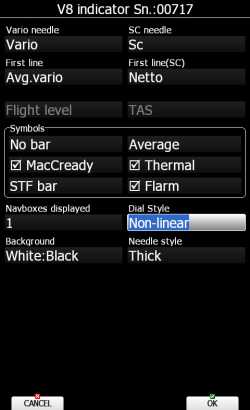 Everything can be edited through main LXNAV device. Map settings can be configured by specific page now. You can customize every page separately according to your needs. We changed the look of MacCready/Bugs/Ballast dialog to fit the users’ needs. User experience is now fresher and clearer so you can grasp information faster.